INDUSTRY.co.id - Jakarta - PT Indocement Tunggal Perkasa Tbk (INTP) launched a new product type of slag cement under the brand TR Superslag Cement. The company claims there is no investment for the purchase of a new machine or a new tool to produce the slag cement. Quoting information disclosure on BEI, Friday (09/15/2017), the new product is an environmentally friendly cement product because one of the main meterial is slag. This material is one of the waste of iron ore combustion as well as in production requires a little more energy so as to contribute less CO2 substance. INTP's business activities include manufacturing of cement and building materials, mining, construction and trading. Indocement and its subsidiaries are engaged in several business fields including manufacturing and selling of cement (as core business) and ready-mix concrete, as well as aggregate and trass mines. Indocement's cement products are Portland Composite Cement, Ordinary Portland Cement (OPC Type I, II, and V), Oil Well Cement (OWC), White Cement and TR-30 White Acian. Cement marketed by Indocement under the trademark "Tiga Roda". INTP shareholders are Brichwood Omnia Limited, UK (holding company) (51.00%). 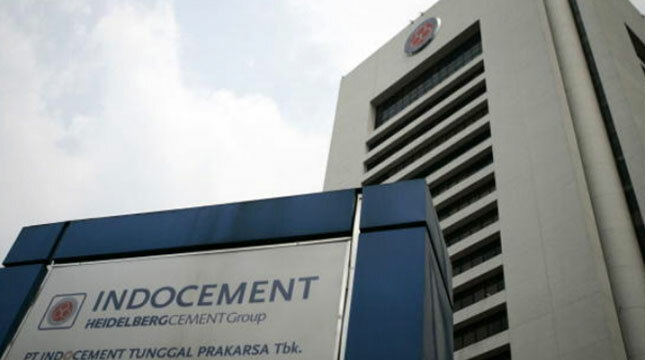 The last holding company of Indocement's business group is HeidebergCement AG.